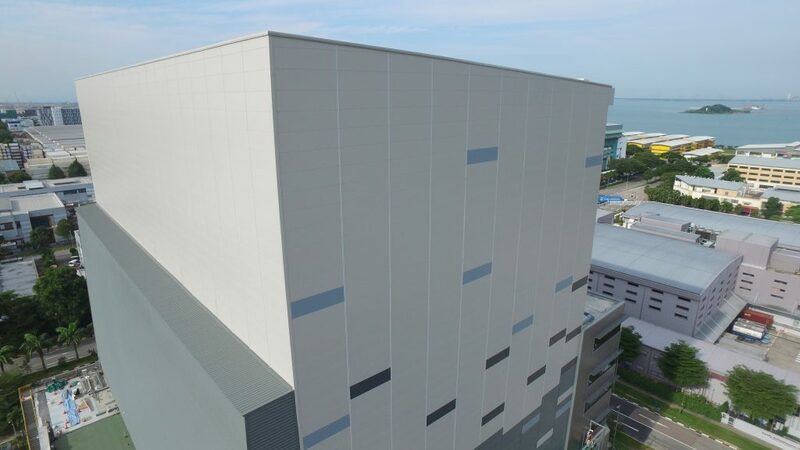 In the upcoming weeks, CT-TECHNOLOGIES are expecting to finalize a large, state of the art, ASRS (Automated Storage and Retrieval System) warehouse in Singapore. The warehouse is constructed for Coca Cola for the purpose of storage and handling of their products. CT-TECHNOLOGIES’ supply for this project comprises of design, supply, delivery and commissioning of cladding, gutter and siphonic system for the ASRS warehouse and in addition smoke extraction system comprising of louvers, insulated openable panels, smoke extractors with hoods and electrical connection. The warehouse, which will be one of the largest ASRS warehouses in South East Asia, is expected to start its operationsin early 2017. We would like to thank all our partners for support on this project and welcome any similar projects in the future.